In the final hours before polls closed Tuesday in the Texas primaries, Republican U.S. Sen. Ted Cruz kickstarted the general election with a barrage of criticism of his Democratic challenger, U.S. Rep. Beto O’Rourke of El Paso. For much of the past year, U.S. Sen. Ted Cruz did not acknowledge Beto O’Rourke’s name — or even, for a while, the fact that he had a Democratic opponent for re-election. That abruptly changed Tuesday evening, when Cruz convened several state reporters for a conference call in the final hours before polls closed in the state’s primaries. For the next several minutes, Cruz proceeded to lay out a detailed case against O’Rourke, portraying him as dramatically out of step with most Texans when it comes to at least three issues: guns, immigration and taxes. Alluding to certain bills O’Rourke had authored, Cruz spoke with the ease of an incumbent who knew his challenger’s record well — and was more than ready to start wielding it. For Cruz, it was a remarkable escalation in his approach to O’Rourke, signaling a new chapter in the race — and not just because the two formally secured their party’s nominations Tuesday night. According to unofficial returns, Cruz easily fended off four little-known challengers with 85 percent of the vote, while O’Rourke got an underwhelming — but still successful — 62 percent against two rivals. Cruz did not let up on O’Rourke as the returns came in, releasing a radio ad featuring a country music song ridiculing the El Paso congressman. “If you’re going to run in Texas, you can’t be a liberal man,” a singer croons in the ad, which also jabs at O’Rourke for going by “Beto” — a nickname dating back to his childhood — when his real first name is Robert. 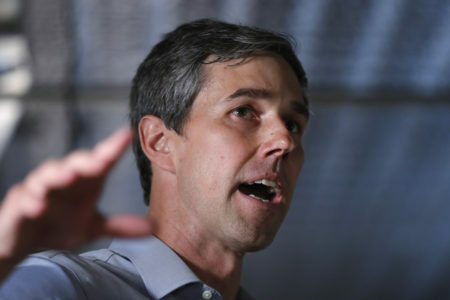 Cruz’s call and the ad punctuated a period of increasing hostility against O’Rourke that began last month, when O’Rourke reported raising nearly three times more than Cruz over the first 45 days of 2018, $2.3 million to $803,000. Furthermore, O’Rourke whittled down Cruz’s cash-on-hand advantage to just over $1 million. O’Rourke has been taking the new level of incoming fire in stride. In an interview after Cruz’s call Tuesday evening, the El Paso congressman largely declined to fire back. 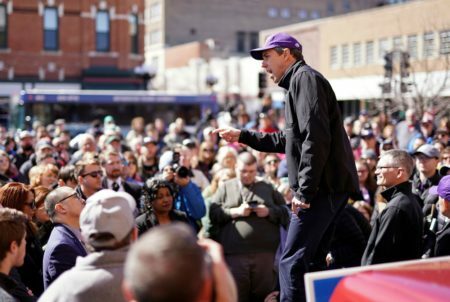 O’Rourke did allow one jab at Cruz, noting that Texans have a choice in November between a challenger who has been holding town halls throughout the state for almost a year and an incumbent who spent a chunk of his first term running for president. 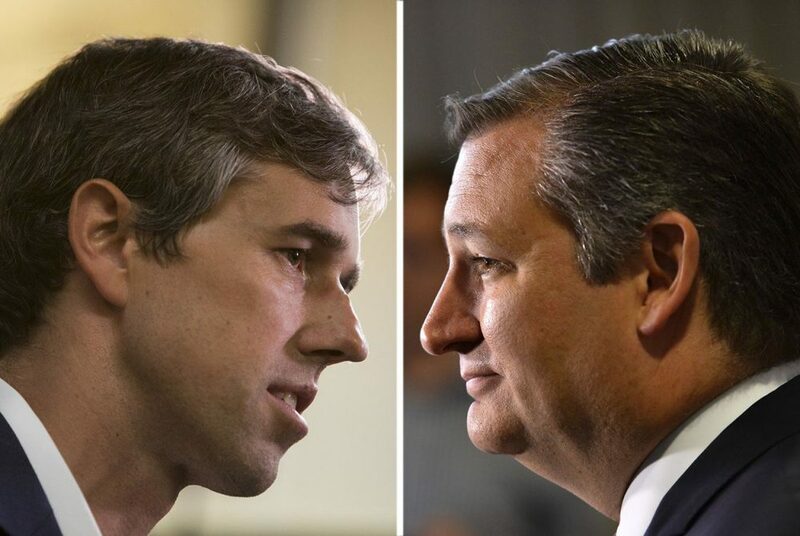 “Which of the two are going to have a better idea of what’s going on in Texas?” O’Rourke asked. To be sure, Cruz is still the favorite in November as he seeks a second term. Texans have not elected a Democrat to statewide office in over two decades — and it’s been even longer since they sent one to the U.S. Senate. Among Cruz’s allies and supporters, there is an acknowledgment that the money and enthusiasm O’Rourke has generated is real. But they do not believe it will be enough to overcome Texas’ strong Republican tradition. 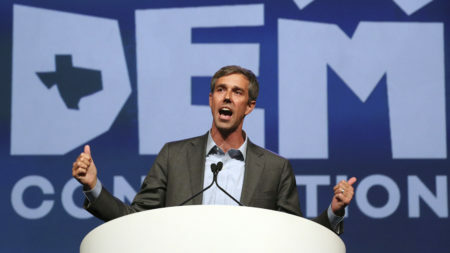 O’Rourke is certainly working to make it competitive, proving to be not only an impressive fundraiser but also a relentless campaigner. He has crisscrossed the state for dozens of town halls, visiting 226 of Texas’ 254 counties, and hitting many areas that have been historically neglected by Democrats. His efforts have drawn attention from far outside Texas, and while few in Washington are ready to declare Texas in play this year, it is certainly a part of the discussion. Republicans have a slim 51-member majority in the Senate, and after Nevada, their list of pickup opportunities this election cycle does not go long before reaching the Lone Star State. If his actions Tuesday were any indication, Cruz is eager for the fight. Asked on the call if he is open to debating O’Rourke before November, the senator appeared to have no reservations.